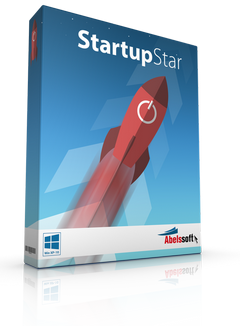 Abelssoft StartupStar — take Control of your Windows Startup Process. Did you know that an average PC has more than 20 different applications that are launched automatically when you start your PC? A lot of those startup entires are unnecessary and they usually slow down your PCs starting time. StartupStar can help you with this problem. StartupStar allows you to delay the start of applications. This reduces the number of simultaneous program starts during boot time and speeds up your boot experience. With StartupStar you can instantly create new startup entries if you want. You can decide where when those startup entries will be launched. You have even the possibility to start programs with administrator rights without UAC (User Access Control). 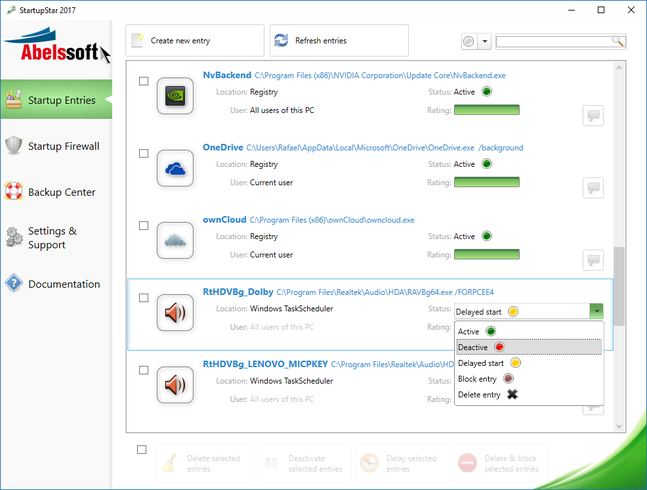 StartupStar handles the entries in the Windows task scheduler that has been integrated into Windows (Windows Vista). If you accidentally delete an entry, you can easily restore it using the backup — StartupStar logs every change. Size: 7,03 / 9,06 MB.